Yesterday I made a suggestion to include a search feature within the chat interface. Today I’ll love to make a proposal. I have used the delta chat application for quite some time now, and I find it very difficult to record long audio messages. This is due to the fact that I am required to press and hold the audio recording button. I’ll love to see a feature which will enable users to slide an lock a particular recording session. This will enable a user to make long audio files without any distractions because he won’t be require to press and hold the audio recording option. 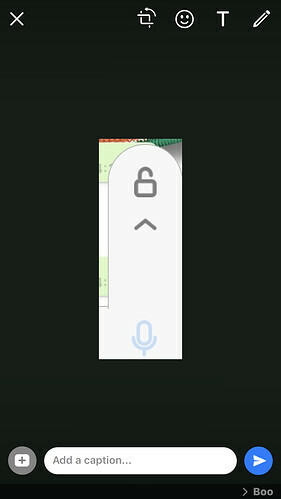 I also often use audio messages and would like a way to record audio but not have to continously press the audio button – but not sure the “lock” slider idea works well – locks are also used for encryption. Maybe there are other suggestions? What’s about Conversations (the xmpp client) style? Maybe the last part of your idea could be added to the actual design. You press microphone button, and recoring begins, when you want to send it you only would need press send button like a common message. It would be great also add a pause button that appears near to the trashcan but by default without to slide the microphone icon. As a matter of fact, raise-to-speak was already a feature used by previous versions of DC. I really liked that. I don’t know if it could be re-implemented or not… But well, devs have a lot of suggestions to consider and decide which one(s) are possible to implement. I don’t see that problem as this lock symbol is also used in other chat apps. Also don’t forget the haptic feedback. I see the ‘press and keep pressing to record’ thing like a walkie-talkie… If I want to record a long, uninterrupted audio, I’d just use some kind of other app or program and then just attach the sound file. Use a key or shield icon for encryption instead and use the lock for the audio.